The Executive will consider the latest progress and next stage in transforming our museum into a major focal point for heritage and the arts at its next meeting on 19 March. 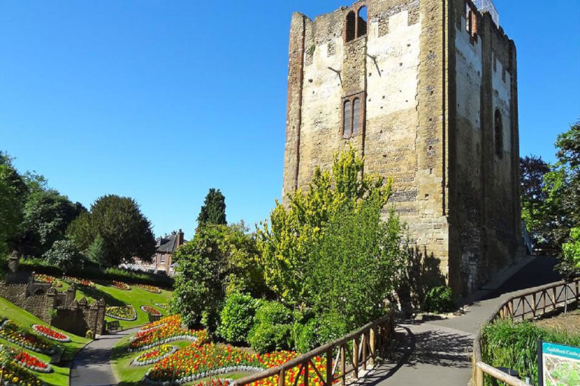 Lead Councillor for Skills, Arts and Tourism, Cllr Nikki Nelson-Smith says: “We aim to create a new attraction and cultural destination, based around an exciting and modern offer, which opens up the Castle Grounds and showcases our borough’s tremendous story and collections. We are involving residents, organisations and businesses in our plans to make sure we offer national exhibitions, as well the best of Guildford’s past, present and future. Their feedback has been an important part of the last year’s work, as we continue to make progress on this long-term and complex project. Regeneration of Guildford Museum is a complicated and challenging process, and projects of this scale, aspiration and investment take time and involve many different partners and stakeholders. Work so far has focussed on shaping the stories the museum will tell, ideas for events and activities, analysis of the site feasibility and developing a sustainable model for the future, all based on extensive audience research. The Executive will consider the external fundraising options and next steps towards a possible opening of a new attraction in the summer of 2023. 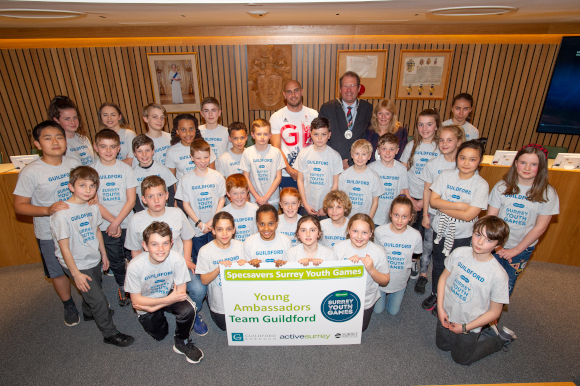 Last night, local Olympian Liam Heath MBE and 30 young people nominated to be Specsavers Surrey Youth Games Young Ambassadors, came together to celebrate a new programme of free sessions aimed at giving young people the chance to try a variety of sports and physical activities in Guildford. The Young Ambassadors, who represented Team Guildford in the 2018 Games, heard how they could help promote the free local pre-Games taster sessions to pupils in their schools. The Specsavers Surrey Youth Games target audience for the 2019 taster sessions is complete beginners- the sessions are not open to club players already participating. Young people aged between 6 and 16 who go to school in, or live in Guildford, can now sign up to take part in the free taster sessions. There is a wide range of activities for both boys and girls and for different age groups. We have worked with local sports clubs and coaches to provide these fun and accessible taster activities. The sessions are held over 6-8 weeks across a wide range of different sporting activities and take place between April and June. The event weekend in June, brings participants together from across the county, to play, be part of a team and compete on a level playing field with other beginners. Over 2000 young people across the county, are involved in the Specsavers Surrey Youth Games, making it Surrey’s biggest annual youth sports festival. The 2019 Specsavers Surrey Youth Games event, will take place over the weekend of Saturday 15 and Sunday 16 June 2019 at the Surrey Sports Park in Guildford. Ahead of World Book Day next week, Chessington World of Adventures Resort is launching an SOS service for parents who have left costume planning for one of the biggest days in the school calendar to the eleventh hour. According to research commissioned by Chessington, 20% of parents leave their child’s outfit for World Book Day to the very last-minute, causing stress and panic. To keep those woes at bay, the family Resort will be delivering costumes to a select number of families who are in need of a little helping hand this year. Ahead of its opening of Room on the Broom – A Magical Journey on Sunday March 10, Chessington will gift costumes based on the characters, Witch and Dragon, from author Julia Donaldson and illustrator Axel Scheffler’s much-loved children’s story. For parents who have a keen eye for arts and crafts, Chessington will also be sharing some DIY costume hacks across its social media channels - families can keep an eye out@Chessington on Facebook and @CWOA on Twitter. World Book Day 2019 takes place on Thursday March 7, ahead of Room on the Broom - A Magical Journey opening at Chessington World of Adventures Resort on Sunday March 10, which will be accompanied by two themed Room on the Broom bedrooms in the Chessington Safari Hotel. For more information, visit Chessington.com/2019. Managed by BookTrust, the UK’s largest children’s reading charity, the immensely popular Blue Peter Book Awards honour amazing authors, imaginative illustrators and the best books for children, published in the last 12 months. The winning titles were voted for by over 300 children from 12 schools across the UK. Onjali’s latest book, tells the story of how four classmates have a massive impact on the life of Ahmet, a boy that comes to their school as a refugee from Syria. An inspiring tale that will help children be the best they can be and realise the power of kindness. Discussing the award Onjali Q Raúf said: "What a wonderful, surreal, and truly epic honour it is to win this wonderful award! I can hardly believe that my childhood dream of owning a Blue Peter badge one day has come true in the most unexpected way possible! I am utterly bowled over by the love and support The Boy at the Back of the Class has received not just from the marvellous Blue Peter Judges, but all the children who voted for its place as a winning title this year – Thank You." Illustrator Marc-Etienne Peintre commented: "I was very lucky to get to work with Clive and the Quarto team on such an interesting subject. 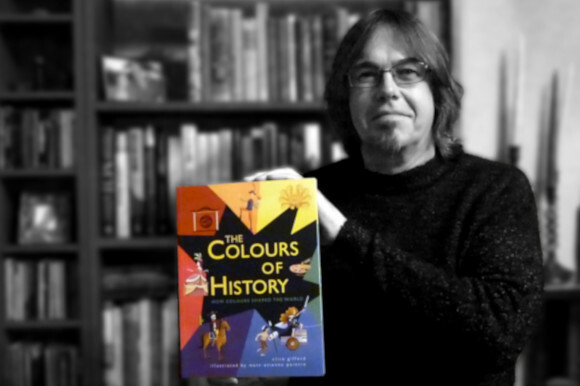 I am extremely honoured to have won this prize, and most of all, to know that the children the book is intended for have read and enjoyed The Colours of History." 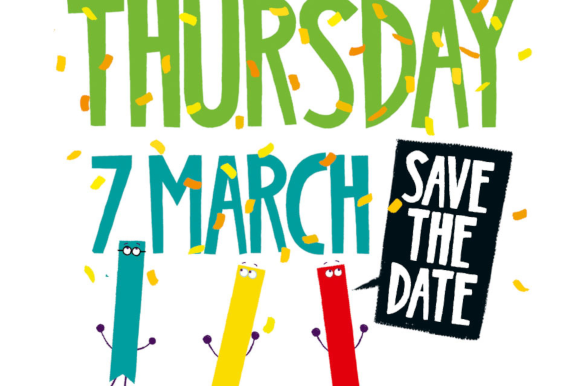 On Thursday 7th March, the winning two authors will appear on a special World Book Day edition of Blue Peter, the longest running children’s programme in the world. Also appearing on the show are our judges, award-winning author and illustrator Alex T Smith and author and UK’s number one parenting vlogger Louise Pentland. The full cast and creative team has been announced for the world premiere stage adaptation of Zog, based on the book by Julia Donaldsonwith illustrations by Axel Scheffler, playing at G Live, Guildford from Monday 8 – Tuesday 9 April as part of a UK Tour. The cast features Elliot MacKenzie (professional debut) as Zog, Emily Benjamin (Bat Out Of Hell) as Princess Pearl, Robert Ginty (Salome and Coriolanus, Royal Shakespeare Company) as SirGadabout the Great and Euan Wilson (Stick Man, UK Tour) as Madame Dragon, with Dixie McDevitt (National Youth Theatre alumni) as Ensemble. The cast of actor-puppeteers will bring the world of Zog to life with handcrafted puppets designed and created by Little Angel Theatre co-founder Lyndie Wright. 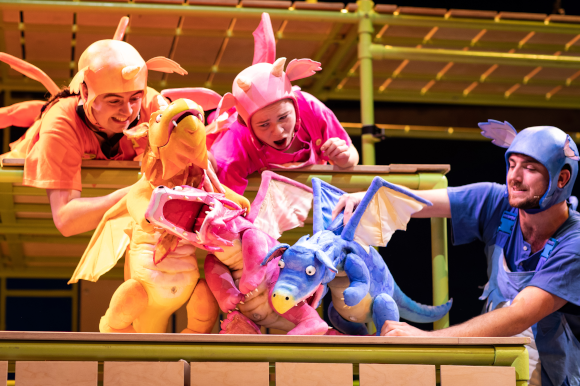 Zog is adapted and directed by Mike Shepherd (founder and Artistic Director of Kneehigh) with an original folk score by Johnny Flynn (currently starring in True Westin the West End) and designs by Katie Sykes (Jane Eyreat the National Theatre). Completing the creative team are movement director Tom Jackson Greaves (Billionaire Boy, UK Tour), lighting designer Ric Mountjoy (The Play that Goes Wrong), sound designer Julian Starr (Violet, Charing Cross Theatre), puppet designer Lyndie Wright (Little Angel Theatre), puppet director Sarah Wright (Kneehigh’s Brief Encounter)and movement and circus consultant Tina Koch. Large in size, and keen in nature, Zog is so eager to win a golden star at Madam Dragon’s school, where dragons learn all the things that dragons need to know. Zogtries so very hard, perhaps too hard, and he bumps, burns and roars his way through years one, two and three. Luckily, the plucky Princess Pearl patches him up ready to face his biggest challenge yet…a duel with a knight, Sir Gadabout the Great! Zog promises to be roaring fun for all ages. Zogis produced by Freckle Productions and Rose Theatre Kingston. Freckle Productions’ most recent show is Tabby McTat,an adaptation of the book by Julia Donaldson, following their acclaimed productions of Tiddler and Other Terrific Tales and Stick Man. Zogwas first published in 2010 and won the Galaxy National Children’s Book of the Year Award. Ithas gone on to become a perennial bestseller. On Christmas Day 2018, Magic Light Pictures premiered an animated film ofZog on BBC One featuring an all-star cast, following their award-winning films The Gruffalo, Room on the Broomand Stick Man. Zog is suitable for children and families of all ages.